Take action on gun violence by participating in a powerful artistic movement. Since 2014, gun violence has killed or injured 220,000 people in the United States. It’s almost too big a figure to grasp. The Soul Box Project reveals this epidemic—through public displays of origami boxes, handmade by volunteers. 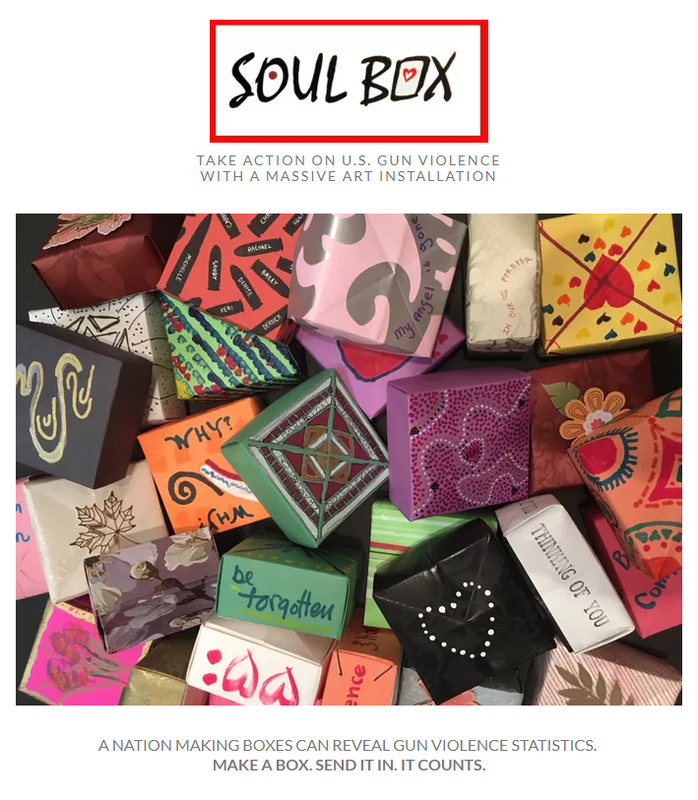 Each Soul Box represents one life lost to gun violence. Make a Soul Box! All it takes are two square pieces of paper, and a moment to contemplate one life cut short by gun violence. Use paper, words and images to decorate the boxes, celebrating life or protesting a loss. (Examples at soulboxproject.org/.) Simply follow the instructions on this flyer to make your Soul Box(es). 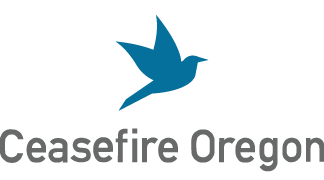 Send your boxes by mail or drop them off at First Congregational United Church of Christ, Portland, 1126 SW Park Ave. Portland, OR 97205. The church is open to the public every weekday from 10 am–2 pm. Soul Boxes can be dropped off in the Chapel. Join us in action to reduce gun violence in our state. Check out www.ceasefireoregon.org/act/ and www.soulboxproject.org for more information.We need to act now to make sure our elected officials pass gun control legislation. Pass on this flyer! Copy/distribute it to all your friends, families, and coworkers. True change is possible on the state level, and we need everyone's help to make it happen.